Welcome to Sacramento, California. 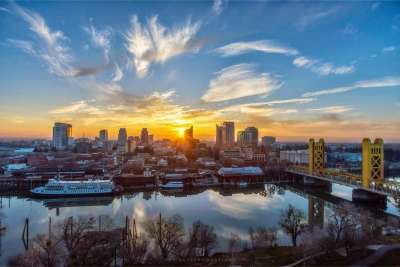 Set in the northern portion of the Central Valley, and stretching between the Sacramento and San Joaquin rivers all the way to the Sierra Nevada foothills, the city was recognized as Time magazine’s “Most Diverse and Integrated City in America” and one of the five “most livable” regions in America. The mélange of attractions gives Sacramento great appeal to both homebuyers and visitors with easy access to shopping, fine dining, theater, 19 area museums including tours of the State Capitol, Sacramento Kings basketball games at the new Golden 1 Center, rustic Gold-Rush Era charm in Old Sac, biking and jogging trails along the scenic American River Parkway and much more. Explore the below links to discover all that the city of Sacramento has to offer its residents!